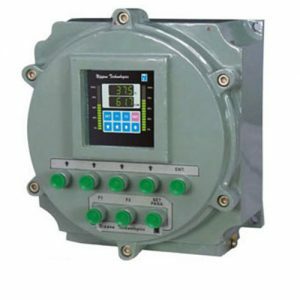 Flameproof Instruments – Nippon Instruments (India) Pvt. 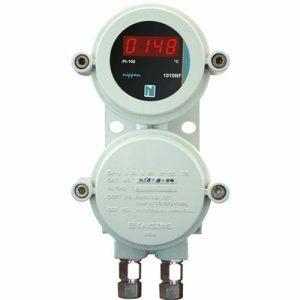 Ltd.
Nippon 1010-3F is a small but versatile 3 1/2 digit, digital temperature indicator in flameproof housing. 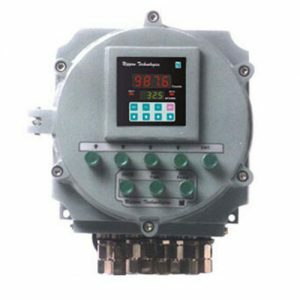 The instrument is suitable for hazardous area of class IIA & IIB as per IS2148/1981. 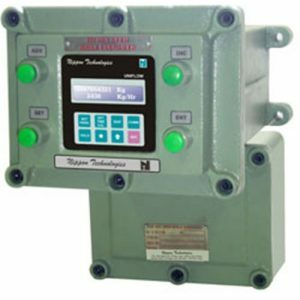 Nippon 1010-3F is having wide application in Chemical, Petrochemical, pharmaceuticals, Fertilizer & Oil plants where accurate temperature indication is required in highly inflammable atmosphere. 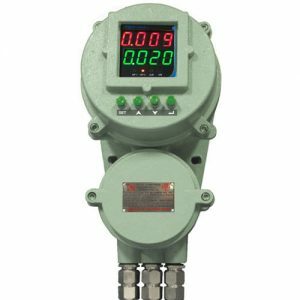 Nippon 1010F is a small but versatile 3 1/2 digit, digital temperature indicator in flameproof housing. 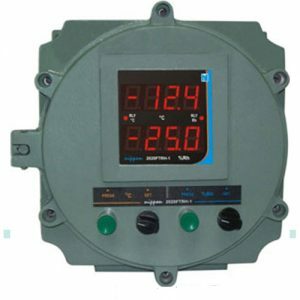 The instrument is suitable for hazardous area of class IIA & IIB as per IS2148/1981. 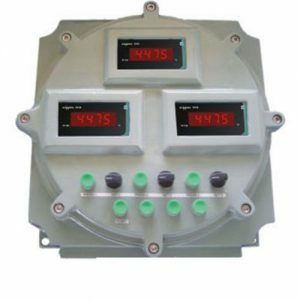 Nippon 1010F is having wide application in Chemical, Petrochemical, pharmaceuticals, Fertilizer & Oil plants where accurate temperature indication is required in highly inflammable atmosphere. housing. The large size display helps to monitor process from longer distance. Other specifications same as nippon 1010F. Nippon 1016F is a 6 channel temperature indicator. Here 6 different channels are connected to 1 instrument. 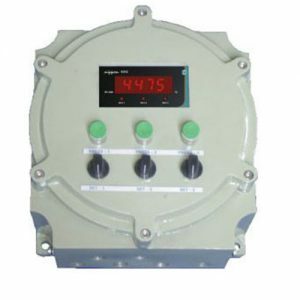 6 way heavy duty switch is provided for selection of channels. Nippon 1016F is designed for 3 1/2 digit indicator. It has 7 cable entries. The dimensions are 360 mm (H) X 180 mm (W) X 150 mm (D). Nippon 1016F offers excellent space & cost saving. 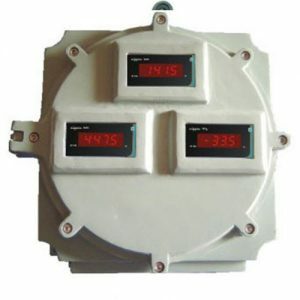 Customised 4 1/2 digit display available. 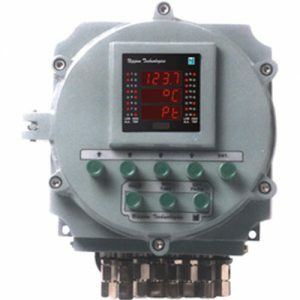 Nippon 2022F can be designed for Heater/Heater, Heater/Alarm, or Alarm / Alarm logic. Other details same as nippon 2020F and nippon 1010F. Nippon 2023-3F is 2-set pont indicator/controller in FLP housing. 2023-3F has 2 sets of press to set pushbuttons & potentiometers. Nippon 2023-3F can be designed for Heater/Heater, Heater/Alarm, or Alarm / Alarm logic. Other details same as nippon 2020F and nippon 1010F. 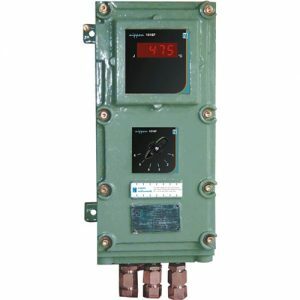 Accepts proxy, encoder, contact closure, voltage pulses. 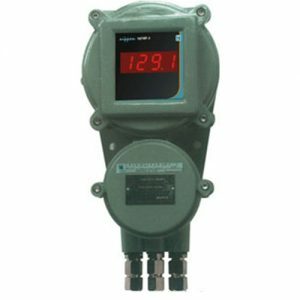 Totalizing, Mts/min indicator, rate counter, RPM measurement.